On the nineteenth of January, Labour called a vote to annul the cuts to maintenance grants, cuts which were put in place by the Business, Innovation and Skills select committee earlier this month. After short debate the committee decided on the cut which would affect around half a million of the poorest students in England. The Labour Party was in outrage that such dramatic cuts were not debated fully in the House of Commons and called for an annulment and full debate. Using select committee to pass controversial acts is not new to politics, it can and has been done by the use of Statutory Instruments (SI’s). Supposedly the advantage of this is that ministers can alter an act without introducing a whole new bill, bypassing needless bureaucracy. SIs have been on the increase since the start of Conservative government, Labour saw an average of 1890 per year from 1997 to 2010 compared to the Tories average of 3652 since 2010 which is almost double. As in this case, subordinate legislation can be very dangerous and malleable, it is also an opportunity for government to manipulate their manifesto, maintenance grant cuts not being in the Conservative manifesto in 2015. The cut is classified as an English SI as it only affects English constituents, this was attacked heavily in the following debate, by Scottish, Welsh, and Northern Irish opposition. Debate began with Labour MP Gordon Marsden who spoke passionately about how wrong it was that this legislation was not brought to the floor of the House, and how the government have been using Statutory Instruments to sneak through “profound and controversial additions to laws”. After him spoke Joseph Johnson for the majority of debate, Minister of State for Universities, who bragged the “world class higher education sector” and focused on the need for sensible funding, the importance of social mobility, and the economic benefit of higher educated students. 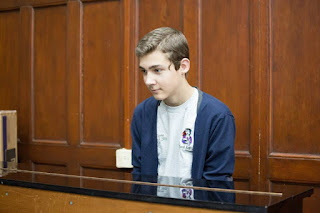 This Tragedies first act mainly focused on the issues with the use of instruments instead of the cuts, with the opposition criticising sneak legislation and the government defending their vague manifesto. In closing the debate, Shadow Business, Innovation and Skills Minister Kevin Brennan, and Education Minister Nick Boles made the last speeches. Primarily, the opposition focused on the dramatic consequences the cuts would have all over Britain, discouraging poorer students from higher education. 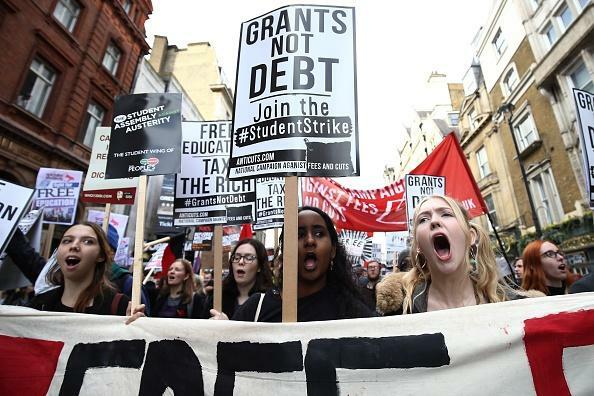 Brennan brought up the fact given by the IFS saying that “The poorest 40% of students going to university in England will now graduate with debts of up to £53,000…rather than up to £40,500”, proving that abolishing these grants will only increase student debt. In closing his statement, he said that these cuts were “Mean in spirit, underhand in execution, and tragic in consequences”. Finally stood Education Minister Nick Boles, who spoke out against the opposition and students calling them “Doom-mongers” who were bringing out only the bad part of the legislation, he insisted that the governments intent in University reform is to follow in the footsteps of Tony Blair, Gordon Brown, and the Coalition by putting emphasis on loans rather than grants which will give greater economic benefit and prevent tax payers who didn’t go to university paying for those who did. Student Loans are the supposed replacement to the grants and will allow more students to access higher education, the government's argument was focused on the elimination of deficit and the cost effectiveness of this act, instead of the social impact. Great controversy was caused when he called the National Union of Students, ‘shroud wavers’ – a term meaning those who only focus on the negative effects of a policy in order to influence public opinion, claiming that the opposition was manipulating the general populous and pandering to the students, needless to say he was asked to retract the term used. After long debate the act was put to a second division and was subject to double majority, this means that because the Instrument is strictly English, one side has to win a majority overall and an English majority. At 16:57, the ayes remained the same, but the noes fell from 306 to 303, and for the English MPs there were 203 ayes to 291 noes meaning the annulment was not passed. Therefore on the first of September 2016, there will be no opportunity for maintenance grants for students and they will have to rely on student loans or most likely, no higher education at all.